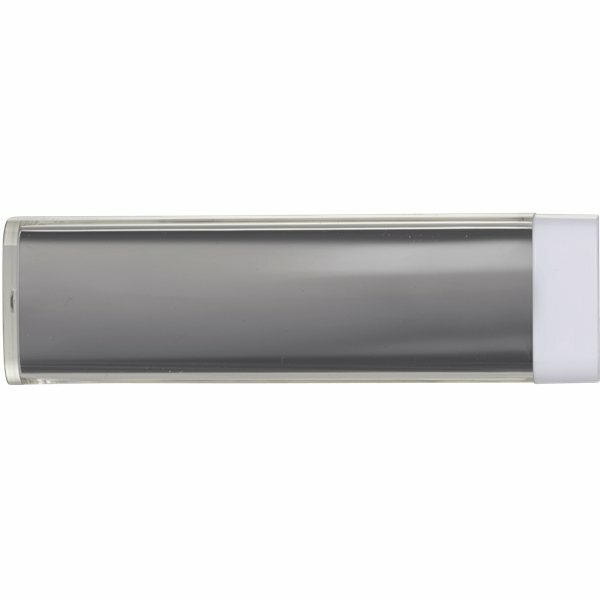 The Amp Power Bank from AnyPromo is a 2,200 mAh portable USB charger with a premium Li-Ion battery. 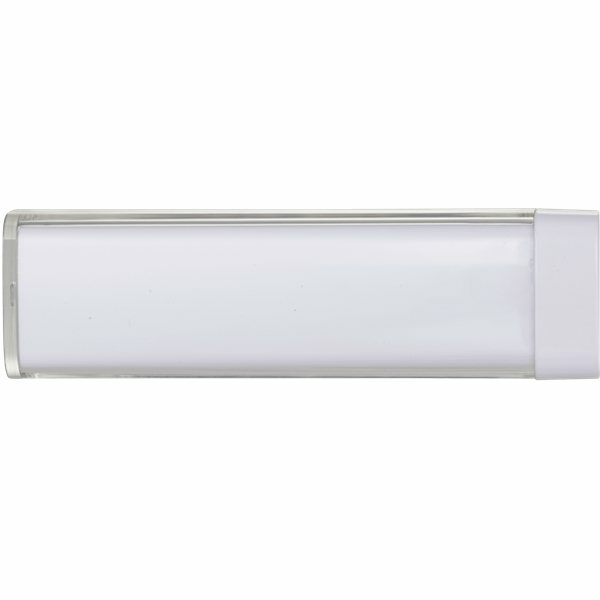 Available in a wide variety of colors with color imprint or full-color PhotoGrafixx, this battery backup is highly customizable to fit your brand. 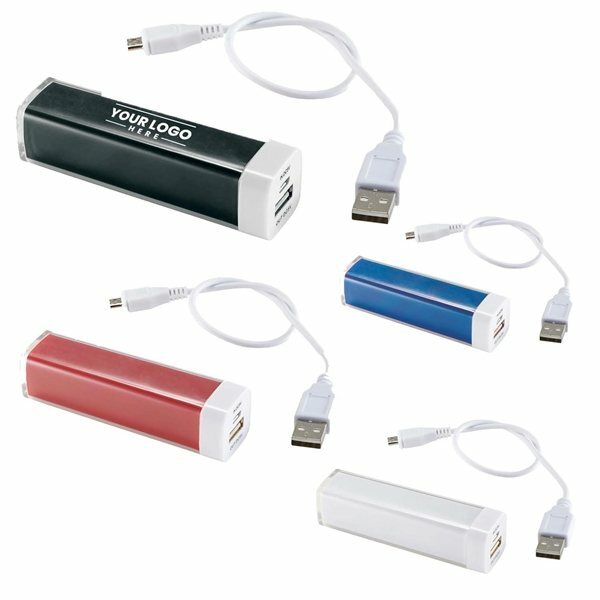 The Amp portable USB power supple is a customer-voted "Top 100 item because it provides a lot of perceived value at an affordable price. When you give away a USB portable power bank, the reaction is much different than if you simply gave away a pen. 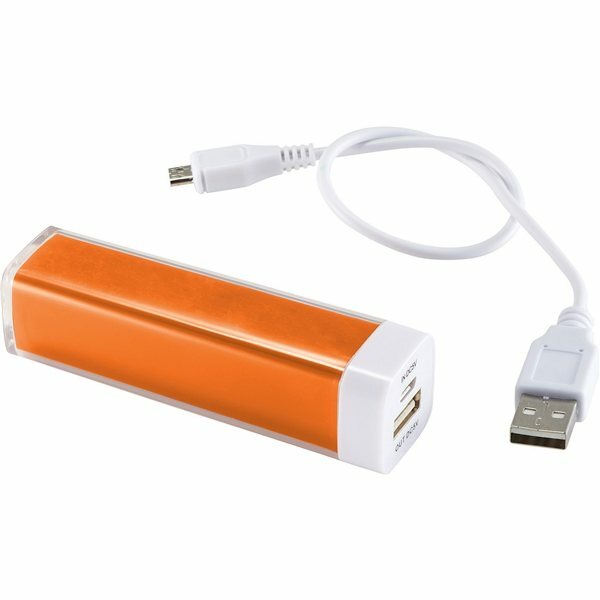 This product is especially great for brand sentiment when recipients see your logo on the device that saves them from a dead phone (and possibly getting stranded). 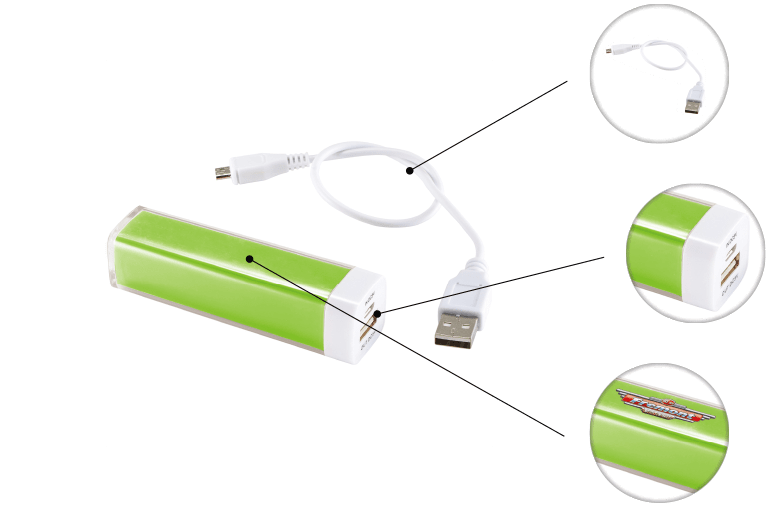 With a 2,200 mAh Li-Ion Grade A battery and a 5V/1A output this charger will fully charge an iPhone giving you an additional 8 hours of talk time. Our commitment to safety includes not only adherence to federal shipping and travel standards, but voluntary measures such as clean room assembly and quality-control checks during the manufacturing process. Customize the Amp with a color imprint or vibrant, full color PhotoGrafixx. Need this product in a hurry for an upcoming giveaway? We've got you covered with free rush production. Came just as ordered and they look great! Thanks so much. Next we'll test for quality but I expect we won't be disappointed. Great product, great price! Shipped really quick also! Service was very helpful. It was great that it came with charging cord also. AnyPromo was very helpful in ensuring we received these on time. Even when we had to make changes to our design, everything went smooth, and we had them in hand the day we requested even after ordering very last minute. These were purchased for a college fair event and were a hit! They also charge devices pretty quickly.